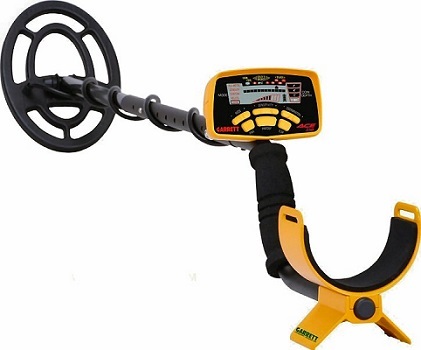 The Garrett ACE 250 metal detector is light in weight, simple to use and quite affordable. This metal detector has the same look as its predecessor, the Garrett Ace 150 with a number of great additions that makes it great for anyone interested in metal detection and treasure hunting. Search coils can be interchangeable making it easy to modify depending on the specific use. The machine comes with a headphone jack, long lasting batteries and well-placed buttons for easy use. The Ace 250 Metal Detector is designed with several great features. First, the metal detector is made with simple Push-button controls. The Garrett Ace 250 Metal Detector has six key push-buttons (Mode, Pinpoint, Power, Sensitivity, Elimination, and Discrimination). The power button is used to power on and off the detector. The elimination button is used concurrently with the discrimination button to discriminate against certain undesirable targets while metal detecting. The sensitivity button as the name suggests is used to either increase or decrease the sensitivity of the detector. The pinpoint button is used to determine the exact location of a given target. The mode button selects which operating mode you want the detector to function in. The Ace 250 Metal Detector has four different metal detection mode: the all-metal mode for detects all types of metals, the jewelry mode for detecting important metals and ignoring items such as nails and bottle caps, the custom mode for detecting a specific items as you may specify using the elimination and discrimination buttons and the relic mode for targeting relics and other great targets in ferrous trash. The Ace 250 Metal Detector is designed with a large 10″ LCD display that makes it easy to use. The display as advance sensitivity and a great electronic pinpointing feature that makes it easy to quickly recover targets. To use the display effectively check for graphic target ID at the top of the screen, the depth indicator to the right of the screen and a battery indicator on the right top corner of the screen. The depth indicator on the display is a great feature of the Garrett ACE 250 detector. For coins and other important valuable, you can easily tell their depth in the ground up to 8 inches. This is a great plus as it aids you in your recovery speed. The Garrett ACE 250 also designed to use different coils. Some of the compatible modes with the coil include the Standard Search coil, the 5 x 11 ACE DD Search coil, the 9 x 12 Search coil, the 5 x 9 Search coil, the 5 ACE Sniper Search coil and the 5 x 8 DD submersible Search coil. For a beginner, the standard search coil is just fine and will suit most peoples needs. The search coils are waterproof and can perfectly work in damp grasses. It is important to note that while the coils for the Garrett Ace 250 detector may be waterproof the metal detector itself is not. You should not use your detector in rain or immerse it in water. But all is not lost if you want to use your machine in wet conditions. You can make your Garrett Ace 250 detector waterproof by buying a waterproof housing to protect it from water when being used in wet conditions. The Garrett ACE 250 metal detector is a good quality and affordable metal detector, and a very good choice for someone just getting started in this hobby. It is light in weight, relatively small, easy to use and quite affordable. It also comes with a wide range of great features that ensure that you miss nothing of value when metal detecting. The ACE 250 (along with all the detectors in the ACE series) is a great value. For such a reasonable price is does a very good job for coin and relic hunters.